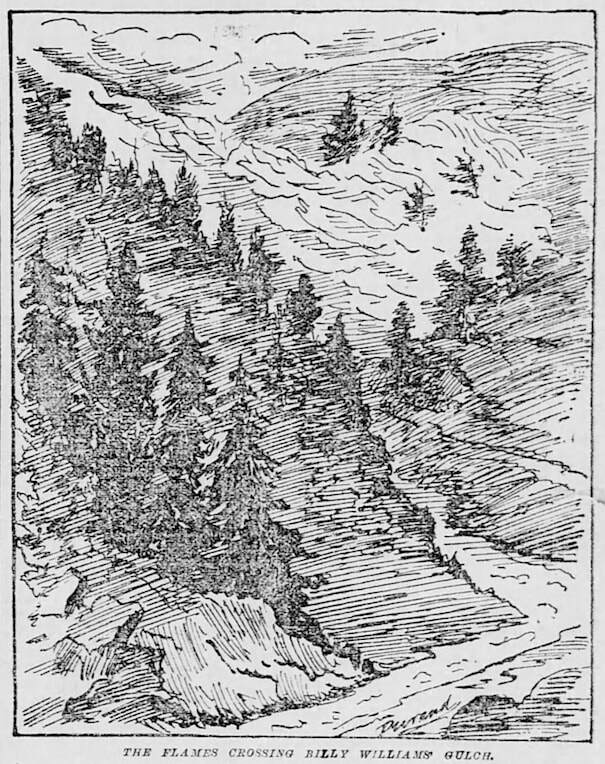 The San Francisco Chronicle reported on June 29, 1891 that "A fire started in Bill William’s Gulch at the base of Mount Tamalpais, swept the sides of the mountains, the dense woods back of Toss [Ross] Station, those near Lagunitas, the Kent property, covering 12,000 acres. It destroyed immense quantities of timber, miles of fences, and many acres of pasture." It was believed that Bill Williams was a deserter from the Confederate Army who lived in the area named after him. Rumors circulated for many decades that he had hidden quite a bit of "gold coin" up there. Chasing the dream of finding Bill's riches, workers on the original "Phoenix Gulch Dam" during its construction in the winter of 1905-06, were said to have spent considerable time looking for his "treasure"; which might have been confederate money. July 1, the S.F. Bulletin reported "fires on Mt. Tam still burning San Quentin reports the whole Mountain to be ablaze. A force of 100 men was sent from this city yesterday to assist those already there. $5.00 a day is being paid." July 3, the Bulletin reported "The fire has been extinguished on Mt. Tamalpais but is still burning in the Mill Valley gulches". ​With thanks to Carol Acquaviva of the Marin County Free Public Library, Anne T. Kent California History Room, and Historian and Author Dewey Livingston for information on Bill Williams. 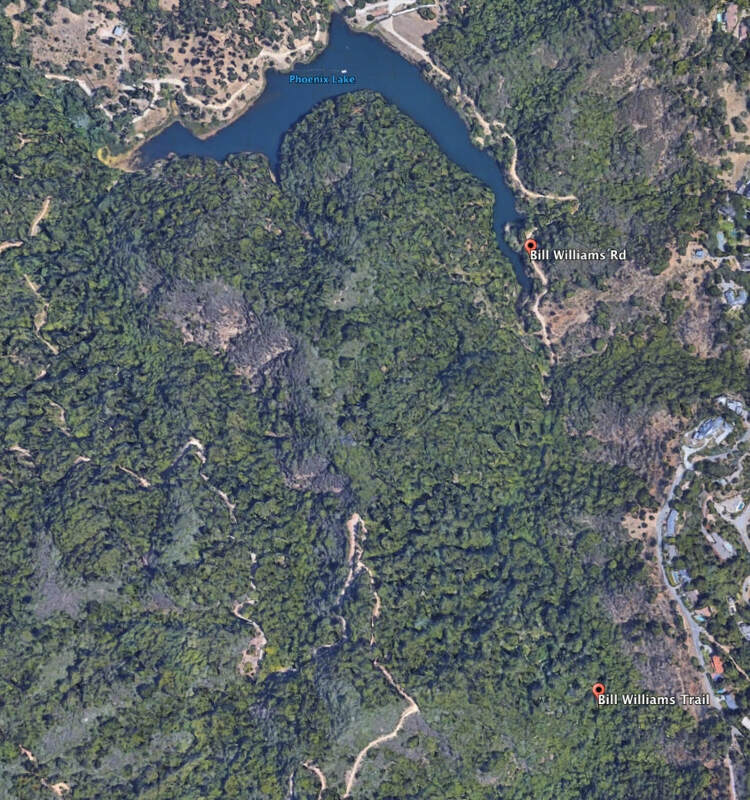 An aerial photograph that includes the Bill Williams Gulch, just west of Crown Road, and Phoenix Road, in upper Kent Woodlands in Kentfield.